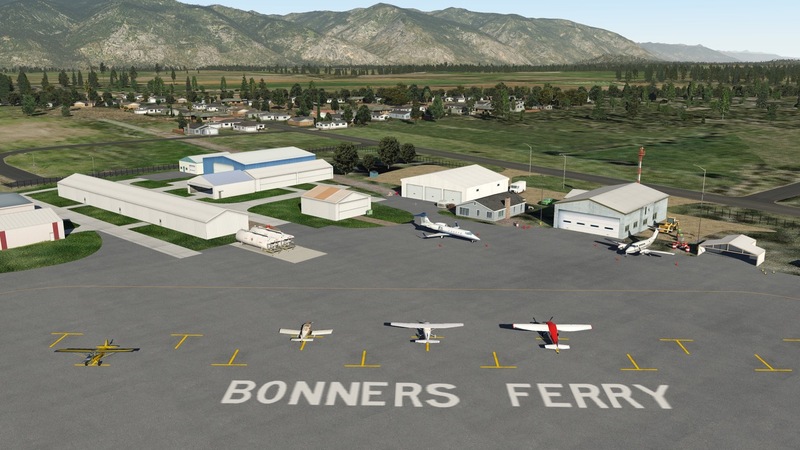 The Boundary County Airport lies two miles northeast of Bonners Ferry, Idaho, providing a scenic destination spot or resting point for all flyers. 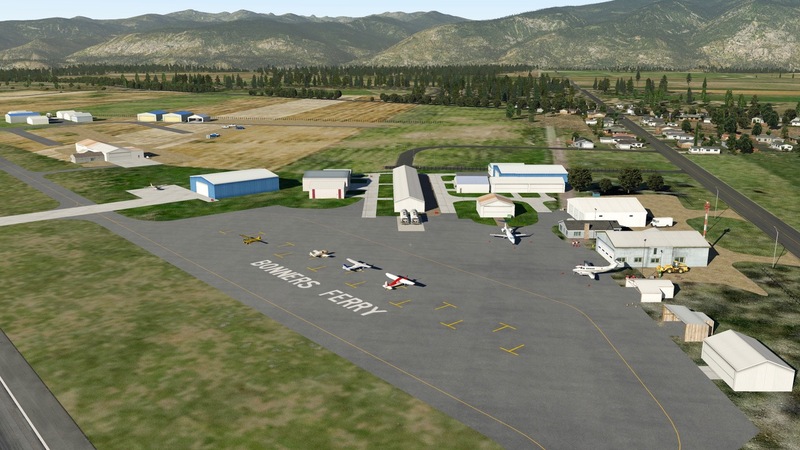 Some of the services available at the airport include overnight hangars for corporate aircraft, courtesy/rental car, pilot’s lounge and supplies, flight instruction and airframe and power plant repair and maintenance and one restaurant within walking distance; the Three Mile Cafe. 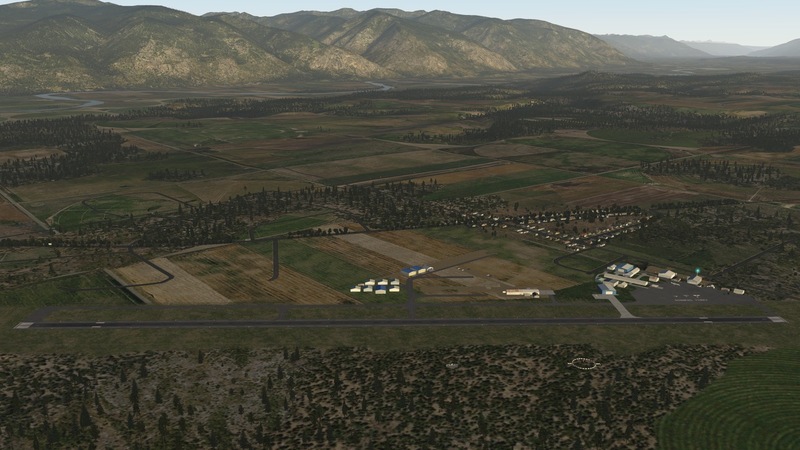 ORBX makes a fantastic version of this field for FSX/P3D, and this is no where near that level of quality. Still, I took a while on this, and like it very much. I hope you do, too. Thanks for looking and happy flying. 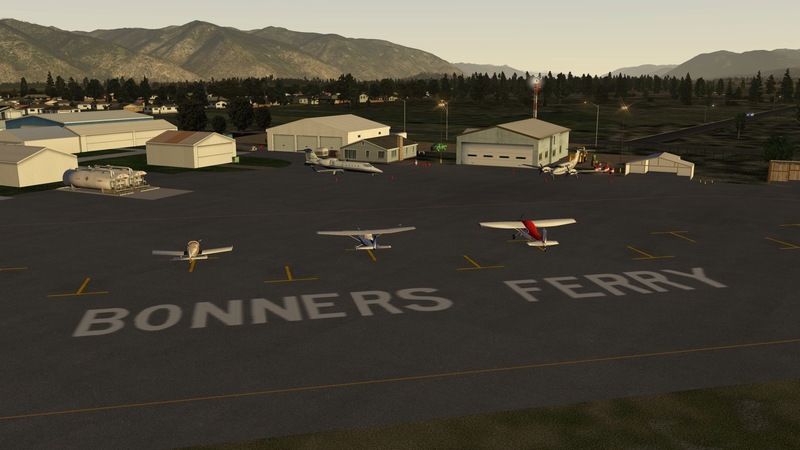 What technique are you using the put the letters on the tarmac? It’s really clean and well aligned. Is ther a library of letters in the Mister X library (only library on your lest I don’t have yet. Will grab it when I start making buildings. How did you get the taxi way dark pavement? 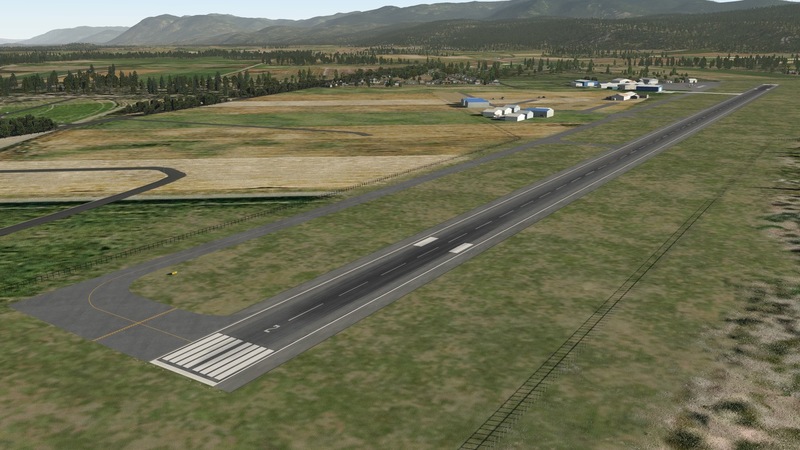 On my first scenery development, the taxi way is a light color. 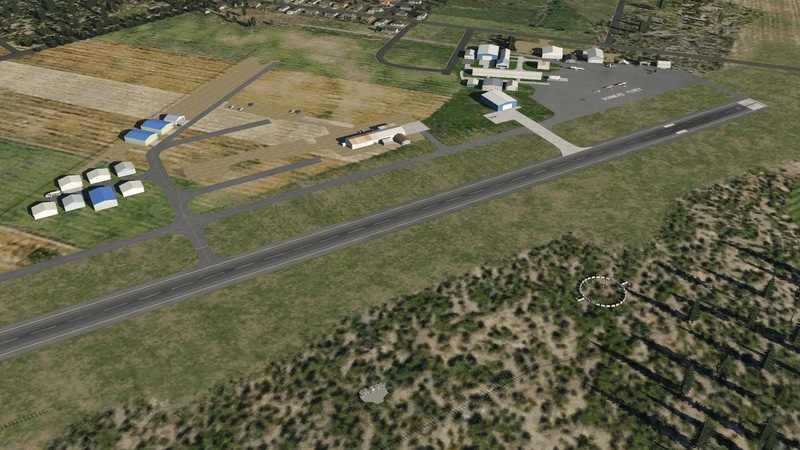 I put a pavement texture over the top of the standard taxiway. Nice. Didn’t know you could do that. as always great work and you are a big insperation on my build.